I read and article written by a Realtor about the top 10 reasons for delays in the mortgage process. I thought about six or seven were valid and the others either had little to nothing to do with the mortgage side of things or were fluffed up to get the number to 10. That said, the article inspired me to write a similar article from the perspective of a loan officer who deals first hand with all the things that Realtor mentioned, one of which won’t make my list because I disagree with it. I’ll start with that one and then give the list. One of his reasons for delays in the mortgage process was not having in-house processing and underwriting. I used to think that, but I’ve since had experiences that prove otherwise. In 2003 I hired on with a broker who promised me that he was going to become a mortgage bank and that we would have in-house underwriting (processing was already in-house) and control every step of the process. As the market continued to heat up, the wholesale lenders that we sent business to couldn’t keep up with underwriting demands and the turn-times became increasingly slower. The broker I worked for never became a bank and I ended up leaving to work for a mortgage bank that was built for speed. We closed things very fast – usually in three weeks without a problem, but often in around two to two and a half weeks. That bank was one of many that ended up getting shut down by the regulators and the next mortgage bank I worked for didn’t close loans nearly as fast. For three years I heard about how they were implementing systems to close loans in three weeks consistently but my experience, as well as many other LOs who I worked with, was that it typically took 31-35 days. My frustrations lead me to my current employer where I have been for over 5 years. We are a mortgage bank but we have always let the banks we sell to underwrite the loans for us. 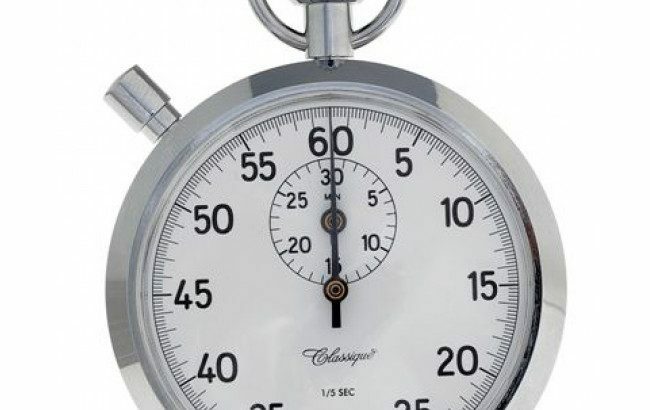 We do enough volume that we are guaranteed turn times that are as good or better than if we had in-house underwriting. We also get pricing bonuses in the form of better rates because of our performance with these companies. We are in the process of adding an in-house underwriter which will give us access to a few down-payment assistance programs that require in-house underwriters for the lenders they work with, but fast turn times do not always come from companies with in-house underwriting – our average closing time is about 25 days. We often are ready to close in about 3 weeks but sometimes have to wait for other parties to the transaction before we can compete the deal. On to the list. Thankfully this doesn’t happen often but when it happens, it doesn’t get the process started off right. Over my 23+ years in the industry, there have been a few times where Realtors have thought they sent me the contract but didn’t. After I followed up with them to see if the buyer got the house, they acknowledged that they forgot to include me on the group email with the executed contract or something along those lines. The other thing that happens a little more commonly is when the Realtor submits an offer and maybe there’s a week of back and forth negotiation before everyone accepts the terms – by that time we are a week into the 30 days from the offer day. Sometimes the contract reads “from the date of acceptance” but not always and that is a delay really puts us behind the 8-ball with little to no cushion for any other delays. This is usually not a big issue but every delay adds up so controlling what we can is important. We send out the loan disclosures typically a day or two after we get the contract. We can’t register the loan or order the appraisal until we get the signed disclosures back. We send them electronically so signing them on a phone, tablet or computer is easy and fast. Whether you are doing a loan through me or anyone else, please sign the disclosures as soon after you get them as possible. Thanks to the HVCC (Home Valuation Code of Conduct) we aren’t allowed to have any direct communication with the appraisers. Before April of 2009 I used to have great relationships with a few appraisers who did fantastic work in a very timely fashion. The process is much different now and there aren’t any relationships to speak of so we typically get appraisals in 7-10 days. It’s important that there aren’t delays in getting the appraiser in to see the house – sometimes the seller has stipulations as to when the appraiser can come, or the appraiser may not of access to the lock box which means that one of the agents has to meet them and there could be scheduling conflicts. Sometimes appraisers don’t complete the form properly or they use what we or the Realtors think are bad comps so appraisers need to take additional time to fix errors or address our concerns regarding the comps they used. We ask for what we know we will need up front before we submit the loan to underwriting and then we let the underwriter tell us what else is required to get a final approval / clear to close. Sometimes we can guess what they might want but it’s better to let them tell us rather than guessing wrong and opening up a can of worms. It is important that the borrower get all of the documentation to the loan officer or processor as soon as possible after it is requested. TIP: when asked for bank statements, always send all pages, even the blank ones – we don’t know they are blank unless we have the page to see it’s blank. The same applies for any multi-page document – always send all pages. TIP #2: try to plan vacations for after the transaction closes. If you are away from your computer and don’t have the ability to get your loan officer the documentation that is needed to proceed to the next step, that could be a big delay. Delay #5: Contractors, workers, etc. If a borrower is getting a renovation loan (FNMA HomeStyle Renovation loan or FHA 203(k)), before an appraisal can be ordered, the lender needs a detailed bid that will be submitted with the appraisal order so that the appraiser can estimate what the value of the house will be after the renovations. If you are not doing a renovation loan but the appraiser or home inspector finds deferred maintenance or items that need to be fixed, extra time is being used for the required repairs which then also requires the appraiser or home inspector to go re-inspect the property to verify that the repairs have been completed and in a workman like manner. Delays can come from anyone who is a party to the transaction. If a lender’s processor is sick, that could cause a delay. Title companies who are slow to get their estimated fees either for the loan disclosures or at the end of the process when lenders are trying to get docs can cause delays – of course there are other possible delays with title companies and they aren’t always the fault of the title company. I closed a loan a couple of weeks ago where the home was in an HOA. We were ready to close about a week early but couldn’t close until the actual close of escrow because of how long it took the HOA to get the demand (payment for various HOA fees) to the title company. There are many places where a delay can happen because there are so many people involved in the transaction. It’s when everyone works together and does things in a timely manner that we have the best chance of closing the loan on time – or early.